Allison Booker is responsible for WBA’s business development and client service in the health care space. 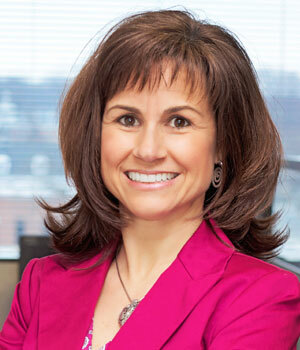 She also continues to serve as hands-on Study Director for many of the company’s health care projects. Allison has extensive experience conducting custom quantitative and qualitative research covering a wide variety of research methods, including telephone surveys, focus groups, one-on-one executive interviewing, intercept interviews, online surveys, and other mail/self-administered surveys. In addition to her experience conducting custom research, Allison also has extensive experience conducting all HEDIS/CAHPS® surveys for which she has participated in the required formal training provided by the National Committee for Quality Assurance (NCQA) and the Centers for Medicare and Medicaid Services (CMS). She has been involved in conducting HEDIS/CAHPS® studies and has attended various workshops and conferences since 1996. A small sample of Allison’s past and present clients include CareFirst BlueCross BlueShield, Delmarva Foundation for Medical Care, Inc., Maryland Department of Health & Mental Hygiene (DHMH), Maryland Health Care Commission (MHCC), Health Services for Children with Special Needs, Inc. (HSCSN), Johns Hopkins Medicine, United Concordia Companies, Inc., Baltimore Medical System, Maryland Hospital Association, MedStar Health, Baltimore Washington Medical Center, and Blue Cross of Idaho. Allison joined WBA in 1996 after working in marketing since 1993. She has a Bachelor of Science degree in Business Administration with a concentration in Marketing from Shippensburg University. Allison is a member of the American Marketing Association (AMA), Marketing Research Association (MRA), and the Maryland Society for Health Care Strategy and Market Development, along with various other health care associations and organizations. She is also among the first to be certified at the Expert level by the Marketing Research Association’s Professional Researcher Certification program.